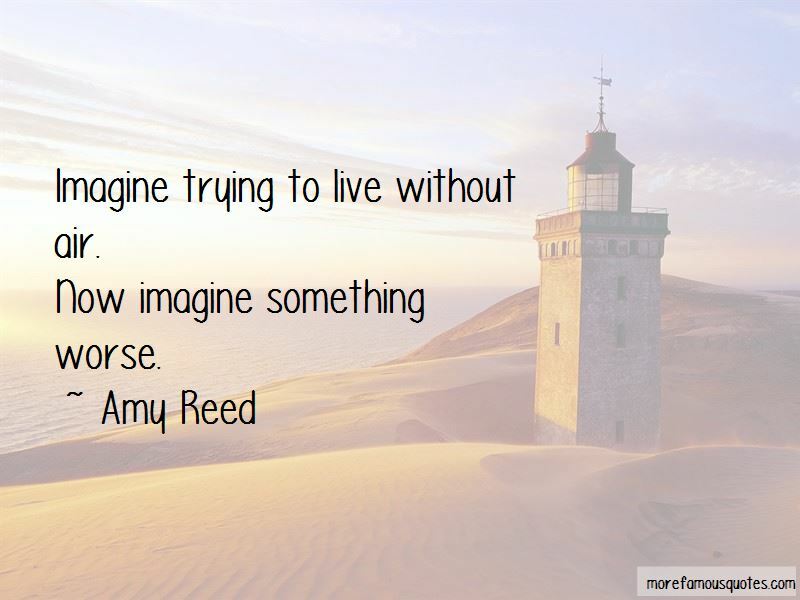 Enjoy the top 70 famous quotes, sayings and quotations by Amy Reed. What if I'm so broken I can never do something as basic as feed myself? Do you realize how twisted that is? It amazes me sometimes that humans still exist. We're just animals, after all. And how can an animal get so removed from nature that it loses the instinct to keep itself alive? Even though I'm sleeping again, everything still feels a little rickety, like I'm here but not quite here, like I'm just a stand-in for my real self, like someone could just reach over and pinch me and I'd deflate. I thought I was feeling better, but I don't know anymore. 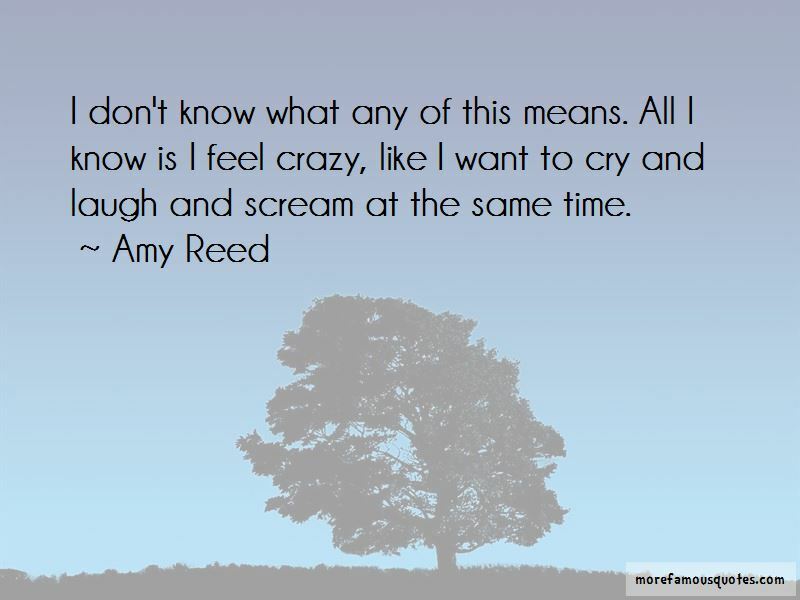 And that's when it hits me, the punch in the stomach, the carving out of my insides. That's when I realize that none of this is a movie. I will not go out with a bang. There is no ending. There are no credits. I will wake up and I will keep waking up and this will always be waiting for me. It feels like the ground is breathing and the air has hands, like everything is moving except me, like I am the only thing solid, like it is the rest of the world that is dizzy. She had no idea there were so many different kinds of lonely. But she does not want your pity. She just wants you to understand what can happen when you're a million kinds of lonely at once, when you find yourself among identical strangers you do not want to get to know. And my name sounds like flowers in his mouth. Everybody has fucked-up families, even normal kids, even the ones who aren't in here. There's no magic math equation that makes us addicts, nothing that separates us from everyone else. Humans are capable of a lot more than they know. “Your boyfriend smells bad, says Sarah as she sniffs the armpit of the giant sweatshirt. This place has its own mini version of a cafeteria, complete with a couple of old ladies in hairnets dishing out tasteless gruel from behind a counter. The food looks like it's been sitting out for days, and there's always a weird smell like floor wax and soggy vegetables. Everyone at school has their little group. Even the people nobody likes seem to tolerate each other enough to sit together at lunch. But I just sort of wander around by myself most of the time. It's almost be better if I thought no one liked me, if I had some weird tick or social inadequacy that cold easily explain my alienation but it's not that easy. People talk to me at school and invite me to parties, but something's missing on the smaller scale. I don't belong to anybody. I don't have anyone who is mine. 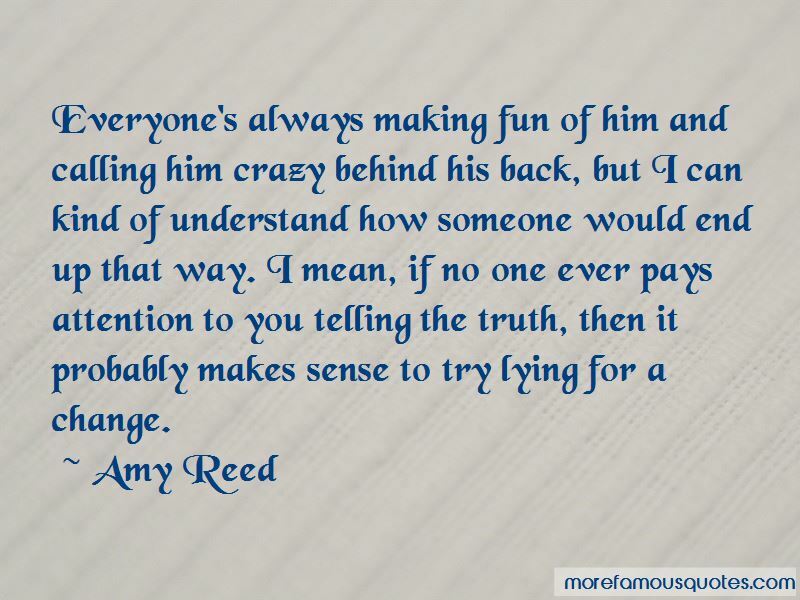 Want to see more pictures of Amy Reed quotes? 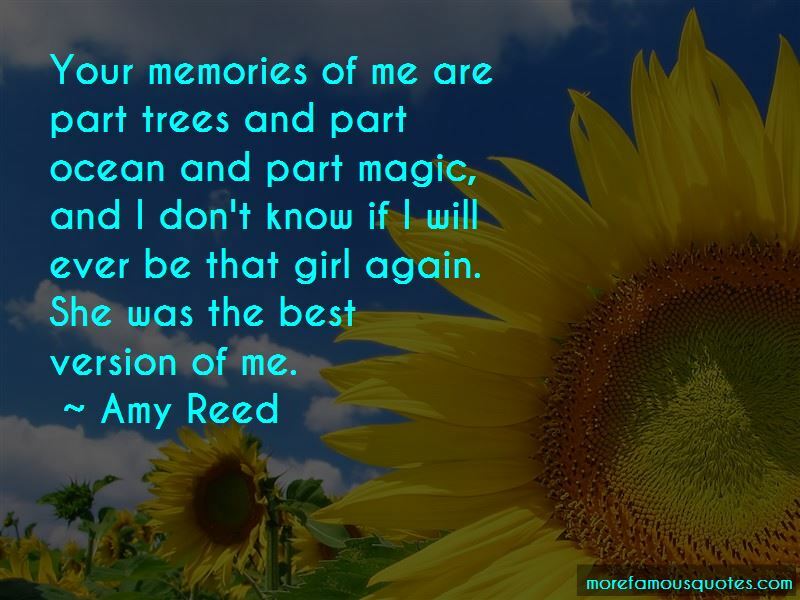 Click on image of Amy Reed quotes to view full size.